While you have support for generics in C#, you don’t have the same implementation transparency due to lack of type interference. Specialized implementations in C# are more straightforward (and smaller in size) than generic ones, so developers usually begin with specialized algorithms and data structures and only convert them to generic implementations once they have needs for that. In F# it’s opposite: the functions are initially generic with type constraints applied only where they refer to functions with arguments or return values of specific types. And as we saw in examples above, such language capability leads to very high level of code reuse, including applicability to data types that we haven’t originally thought of. 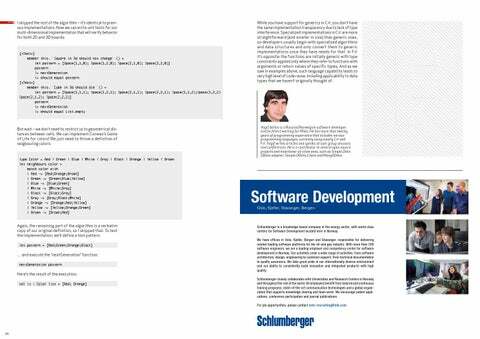 Vagif Abilov is a Russian/Norwegian software developer and architect working for Miles. He has more than twenty years of programming experience that includes various programming languages, currently using mostly C# and F#. Vagif writes articles and speaks at user group sessions and conferences. He is a contributor to several open source projects and maintainer of a few ones, such as Simple.Data OData adapter, Simple.OData.Client and MongOData. The 2nd issue of NDC Magazine 2014. 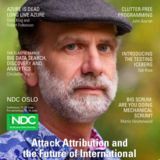 Featuring articles written by speakers attending NDC Oslo 2014 in June.